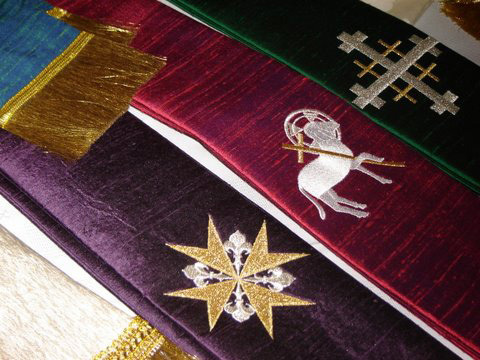 Whether you do custom machine embroidery on vestments as a business or as a service to your church or parish our ever-growing selection of embroidery designs for vestments will help you continue an incredibly rich and beautiful tradition. 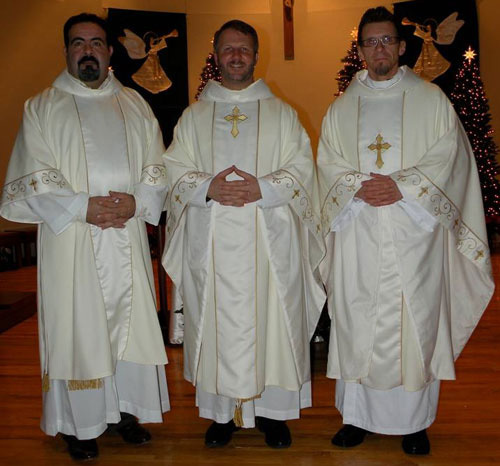 Many historians believe that vestment embroidery began in the 10th century. According to New Advent: "Ecclesiastical embroidery reached its fullest development in the thirteenth, fourteenth, and the first half of the fifteenth centuries. In this period whatever bore the name of vestment, wherever means allowed, was more or less richly embroidered." Magnificent designs were embroidered on liturgical clothing and other vestments creating breath taking and timeless church treasures. Such liturgically luxurious treasures are still being created today by machine embroiderers all over the world who use their skills to preserve the culture for all. As you browse our selection of Christian designs you will discover contemporary and traditional or vintage designs. 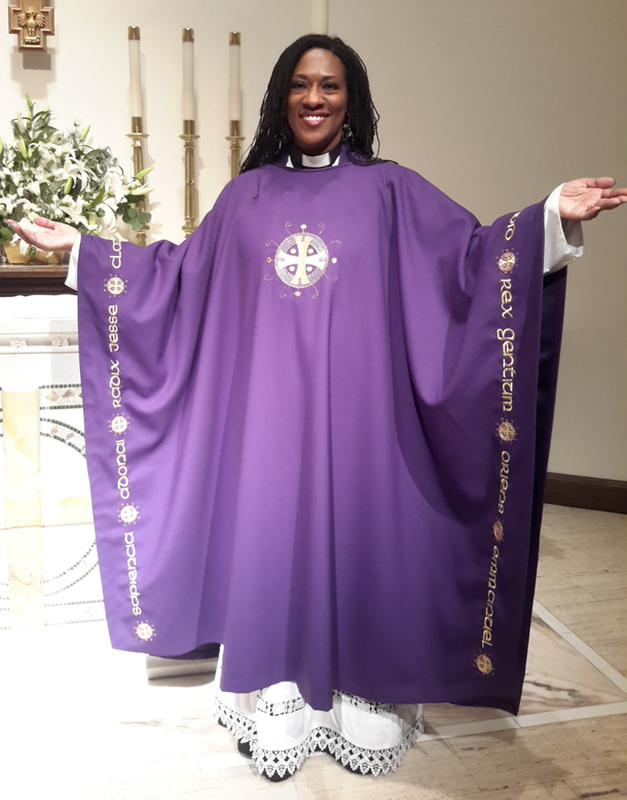 Most are offered for multiple hoop sizes, and hundreds are ideal designs for vestment embroidery on chasubles, stoles, maniples, burses and veils. Many of our traditional and vintage vestment designs were originally offered as iron-on embroidery transfers in the mid to late 1800s in The Embroidery Pattern Catalogue, a publication by the Thomas Brown & Sons company of Manchester, England. The majority of those historic and classic Christian patterns were hand drawn reproductions of designs from the 13th and 14th centuries, a period when ecclesiastical art, especially the stunning English needlework, was in its glory. 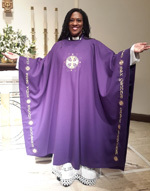 They were originally created specifically for vestment embroidery. When digitizing those beautiful vestment designs for machine embroidery we attempted to stay as true to the original design as possible. We hope you enjoy them as much as we do digitizing them for you. Click here to browse all the Christian designs. Click here to browse the Vintage Ecclesiastical designs.